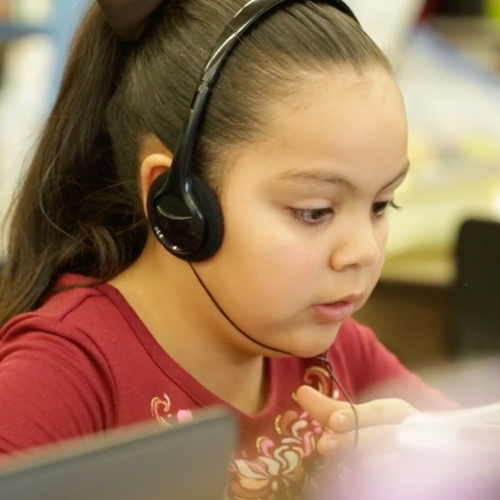 During the 2017–2018 school year, forty elementary schools in a Northern California school district implemented Imagine Language & Literacy as a supplemental tool for students in grades kindergarten through sixth grade. 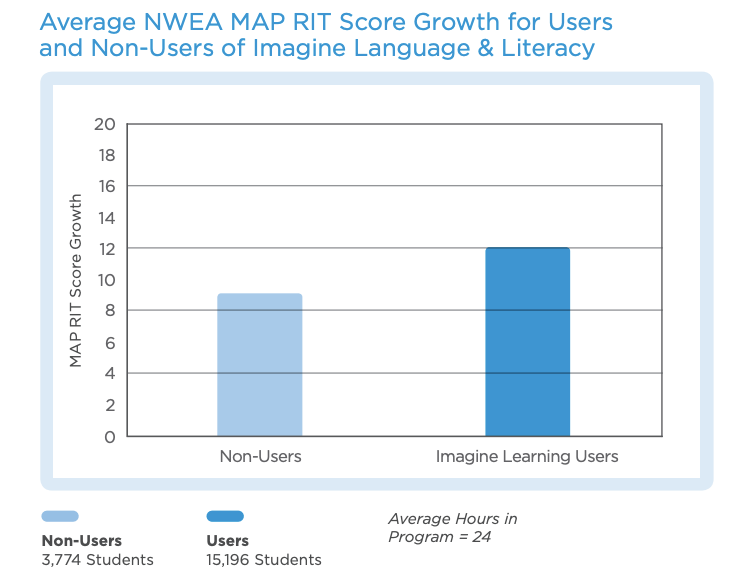 To determine the impact of the program on student growth, NWEA MAP scores were compared from the beginning and end of the school year for approximately 15,200 users and 3,800 non-users of the Imagine Language & Literacy program. Students who used Imagine Language & Literacy logged an average of approximately twenty-four hours in the program across the school year. 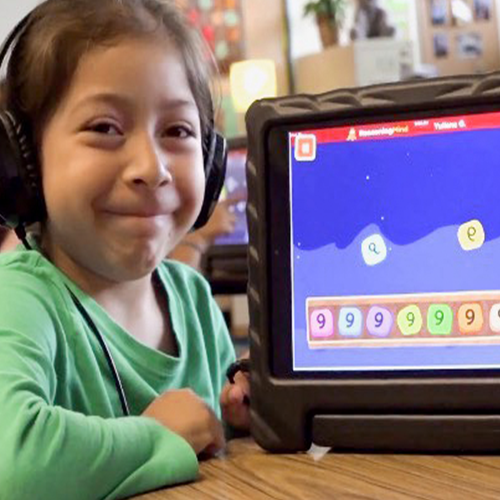 The study found a statistically significant and positive impact for Imagine Language & Literacy users. In fact, the difference between users and non-users equated to an effect size of .28 which surpasses the expected effect sizes for similar education technology intervention tools.